Footlocker is offering 20% off $99 with code HEATUP at checkout. 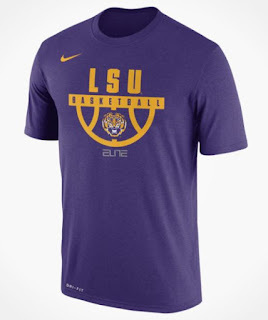 I chose to shop the Nike College Basketball Tees - LSU, Duke, OSU, Texas, Tennessee PLUS several more on Sale $19.99 (Retail $29.99). Ends 8/4. Online Only. Exclusions Apply.